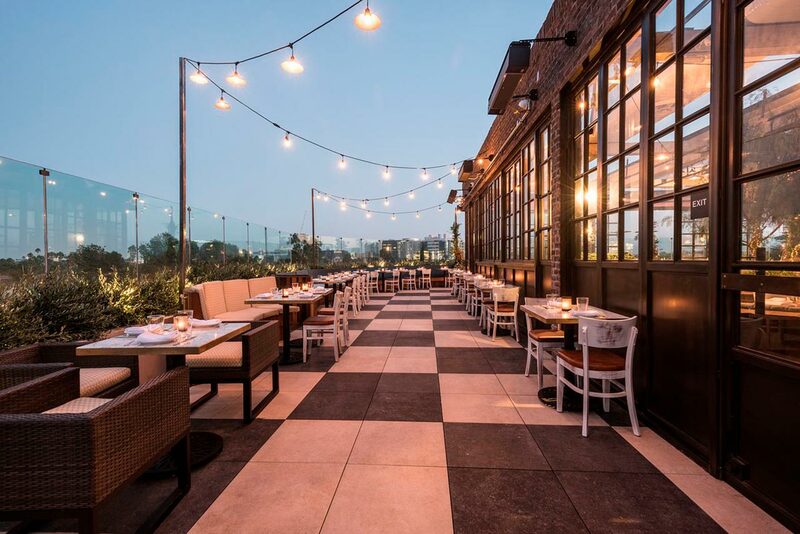 If you’re eager for a celebrity sighting in Los Angeles, check out some of the best paparazzi star-stalking spots in the city. 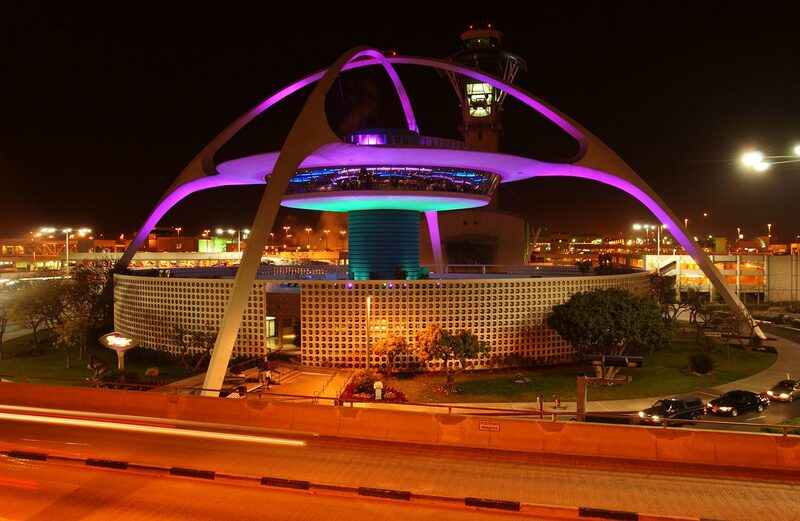 Los Angeles International Airport (LAX) is the world’s fourth busiest passenger airport. 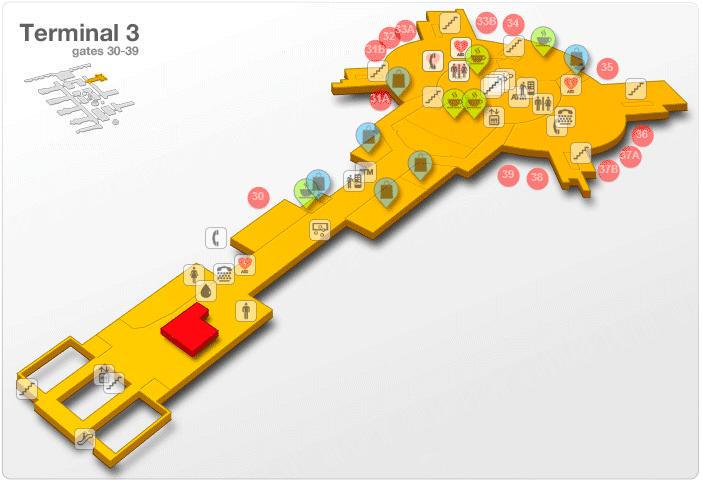 If it weren’t for the arrivals terminals at LAX, the celebrity-gotcha show TMZ wouldn’t have a broadcast. 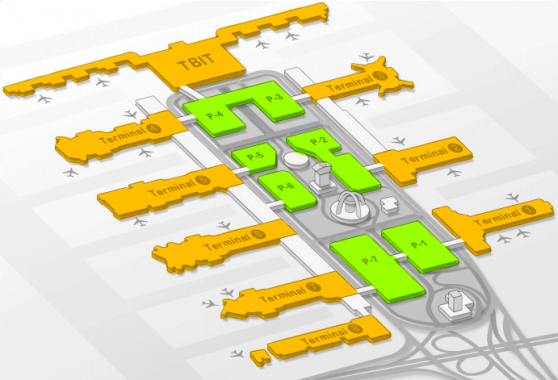 The central complex features nine passenger terminals connected by a U-shaped two-level roadway. Curbside baggage check-in is available on the upper departure level. 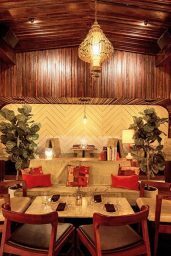 Baggage claim is on the lower level. 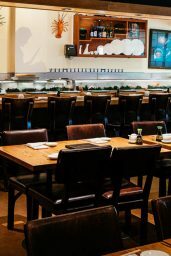 Brand-named and ethnic-styled restaurants, cocktail lounges, gift shops, newsstands, duty free shops for international flights, restrooms, public telephones and business centers offer convenient services for the traveling public. 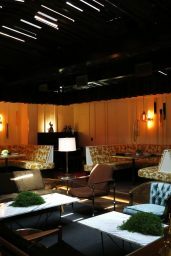 While many stars hide in private airline clubs pre-flight, they must mingle with the public post-flight at the baggage terminals. If you don’t happen upon an encounter, then head to Terminal 3 on the lower/arrivals level, where public art shows are often staged. 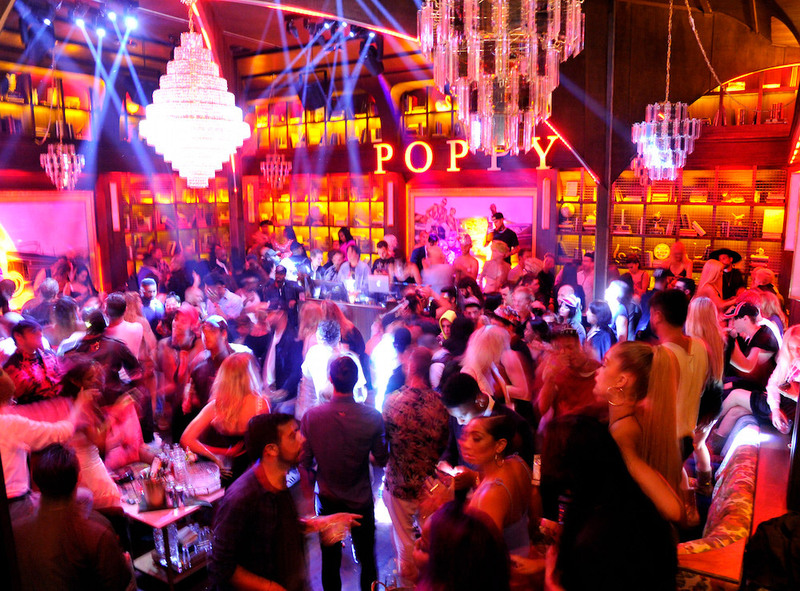 The legendary Sunset Strip is a 1.5-mile stretch of clubs, boutiques and restaurants between Crescent Heights and Doheny Drive. 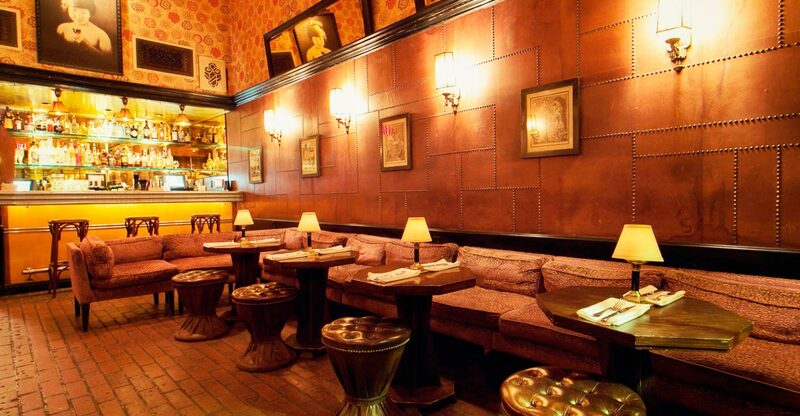 Classically posh and surprisingly accessible, the enchanting Bar Marmont is a popular haunt for Hollywood denizens of all stripes who love good food and conversation. 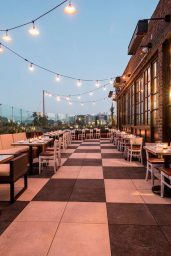 The Strip is regularly packed with cavorting stars, and paparazzi packs can snag celebrities dining at Osteria Drago or getting wild at the famed Bar Marmont, located in the exclusive Chateau Marmont. 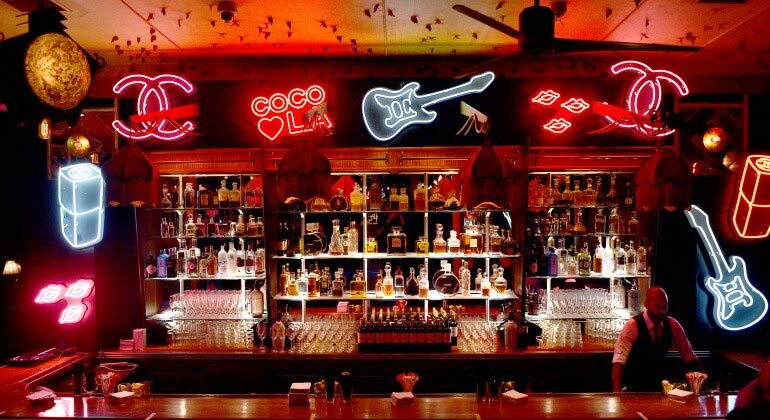 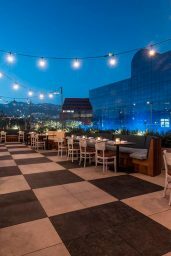 The Strip has become a favorite haunt of the famous because many live in the Hollywood Hills and Laurel Canyon, two exclusive enclaves above Sunset Boulevard. 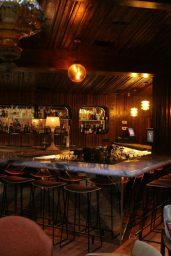 Definitely more hopping on the weekends, Bar Marmont nonetheless has plenty to offer all week long, whether patrons show up for a swanky dinner date, pre-club cocktails with a group of friends, or an intimate tête-a-tête in some dimly-lit nook. 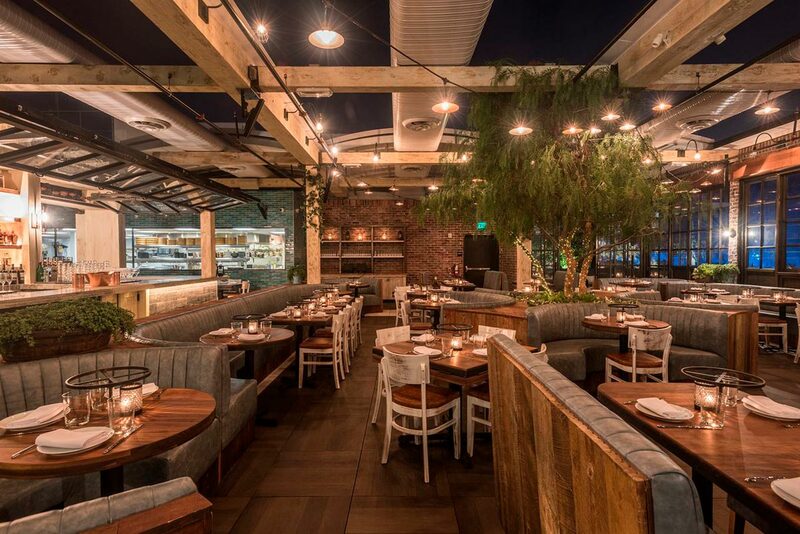 Studio City Farmers’ Market is a mecca for experimental foodies in the valley. 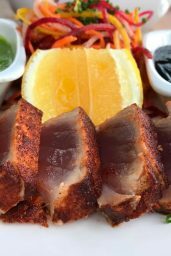 Stock up on blocks of cheddar from Spring Hill Cheese, slices of margarita pizza from Olive Wood Pizza, and bags of spices from World Flavorz Spice & Tea Company, whose table looks straight out of a Moroccan market scene. 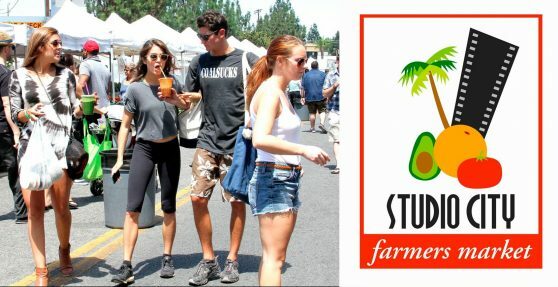 The irresistible combination of celebrities with their babies attracts many long lenses to the action at the Studio City Farmers Market. The Sunday morning gathering spot is the preferred choice of stars who live and work near the area’s film studios. 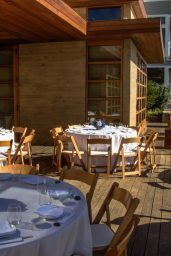 Those with families can often be seen taking their children to the market’s petting zoo and pony rides. The Studio City Farmers Market is open on Sundays from 8 am to 2 pm. 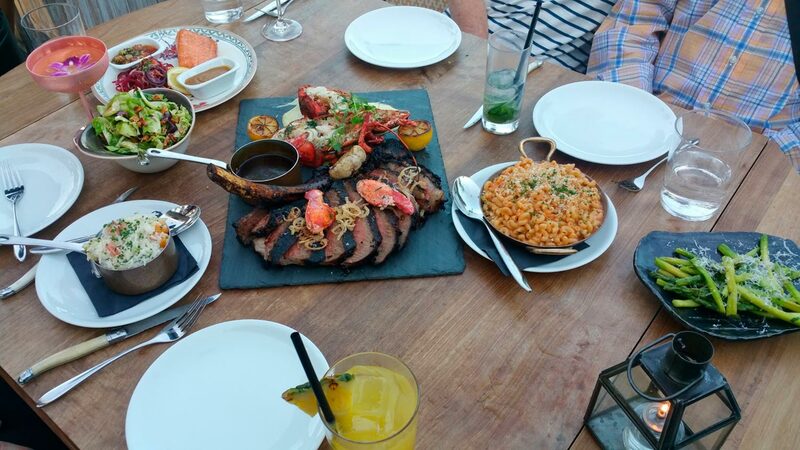 Rain or shine. Poppy is a hybrid nightclub concept portraying a fantasy world transporting into an underlying stream of consciousness filled with the extensive menagerie of characters from a storybook setting. 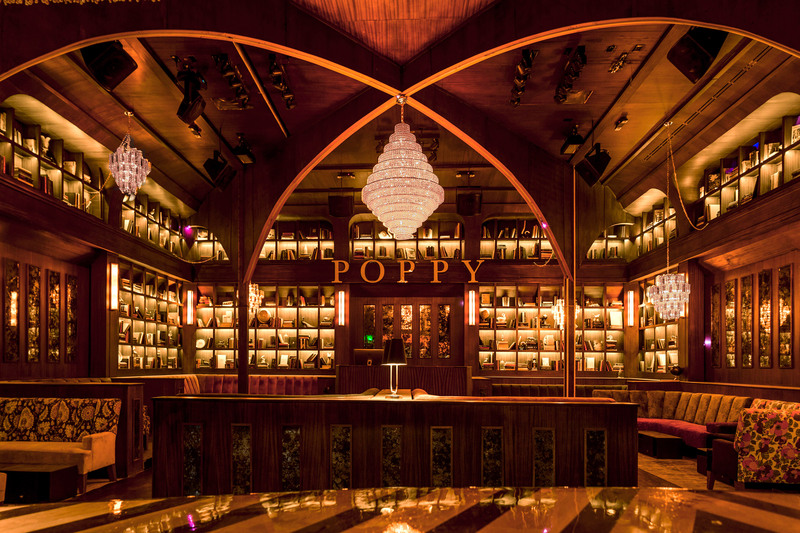 Poppy’s layout features a private room housing an exclusive bar under a curved upholstered ceiling where Hollywood’s royalty will enjoy their night in comfort and luxury. 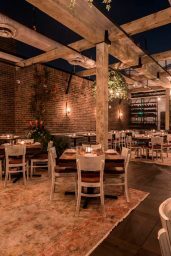 An atrium is filled with plants and the back wall covered in poppies — natch — with a (millennial) pink-and-white marble checkerboard floor. 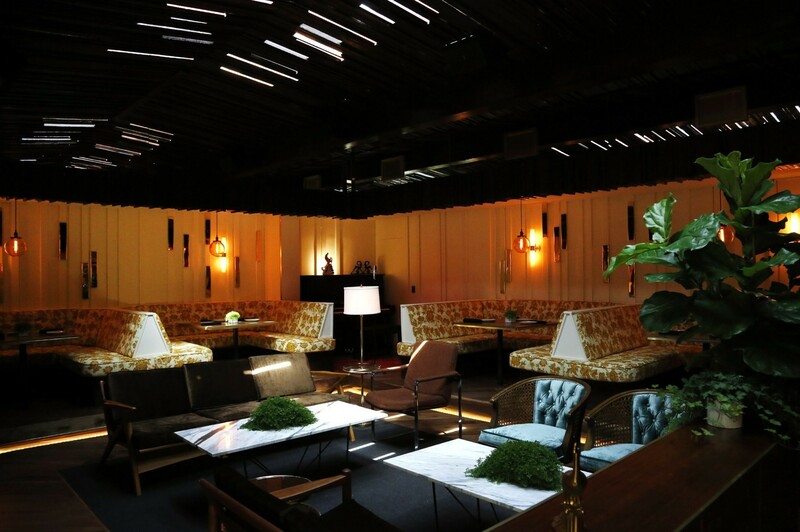 For the “library room,” Sofio and his team sourced 2,500 books arranged among collected vintage objects. 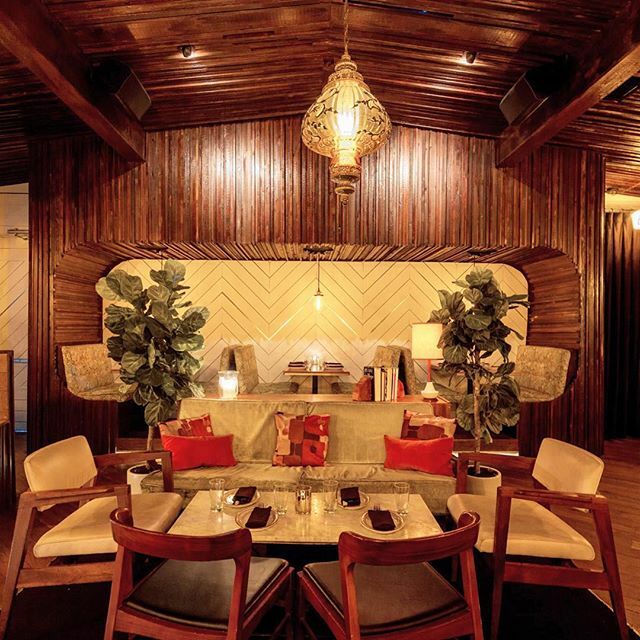 There are ornate booths throughout the space — even a booth within the DJ booth. 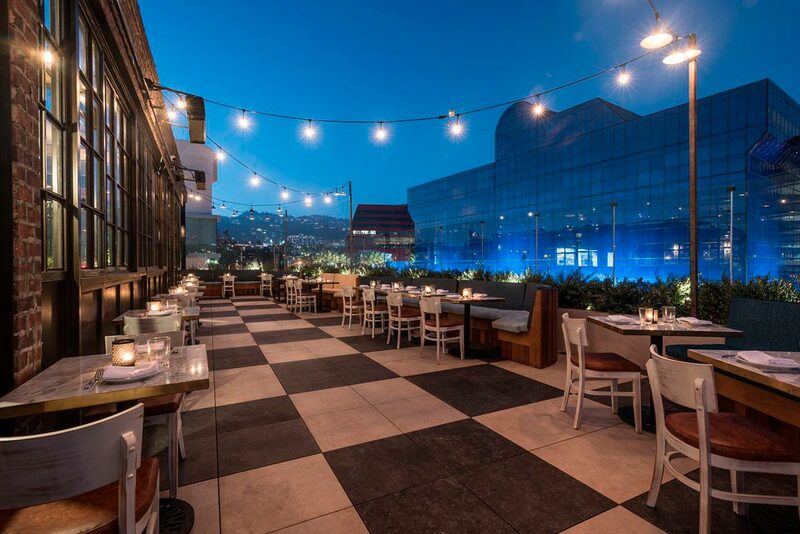 And the VIP bar off the side of the atrium has its own entrance. 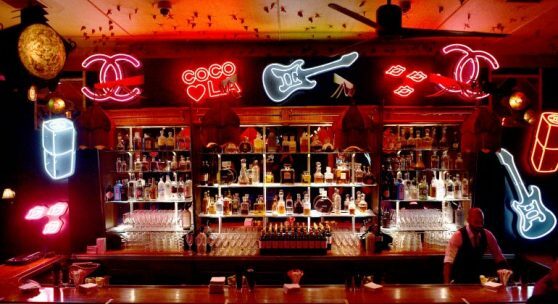 The nightclub will be open only on Thursdays from 10 pm to 2 am. 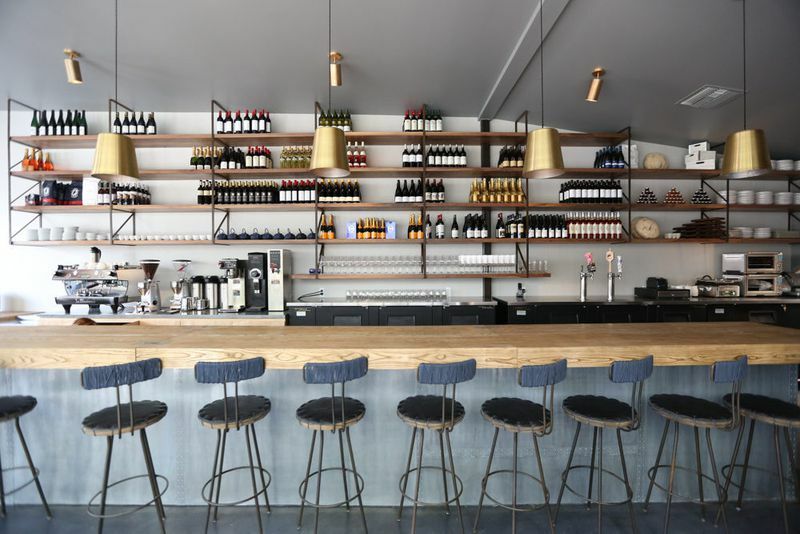 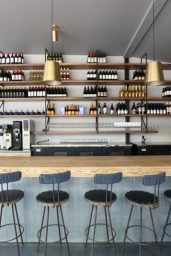 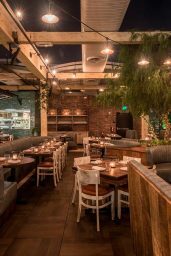 A European vibe prevails at this trendy but easygoing West Hollywood bistro serving a simple French menu of well-prepared tartines, charcuterie and quiches alongside an extensive list of wines. 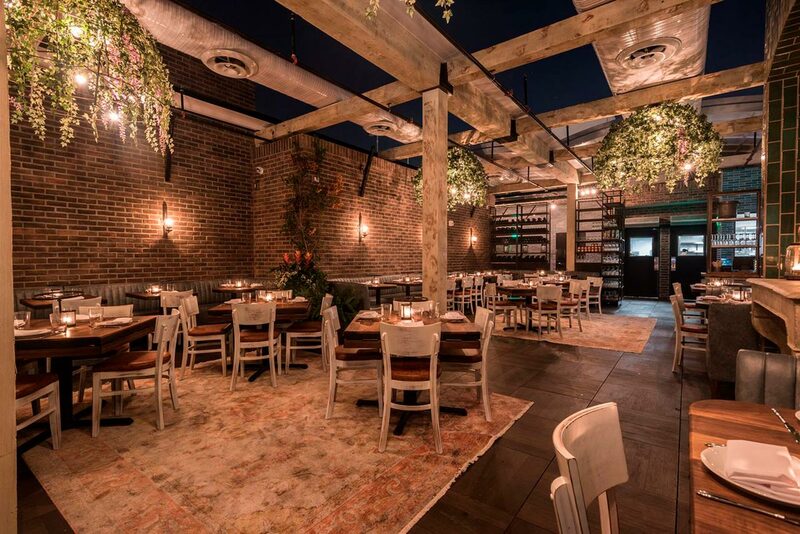 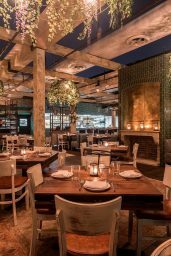 Service may be a bit touch and go for some, but while you wait, a lovely patio with a black-and-white tiled floor and fireplace provides a super-cute backdrop for people-watching with the pretty, dress-to-impress crowd. 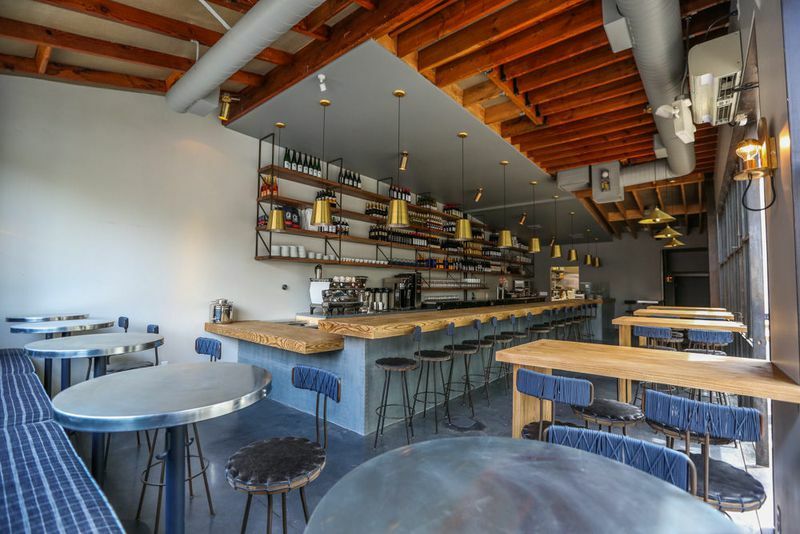 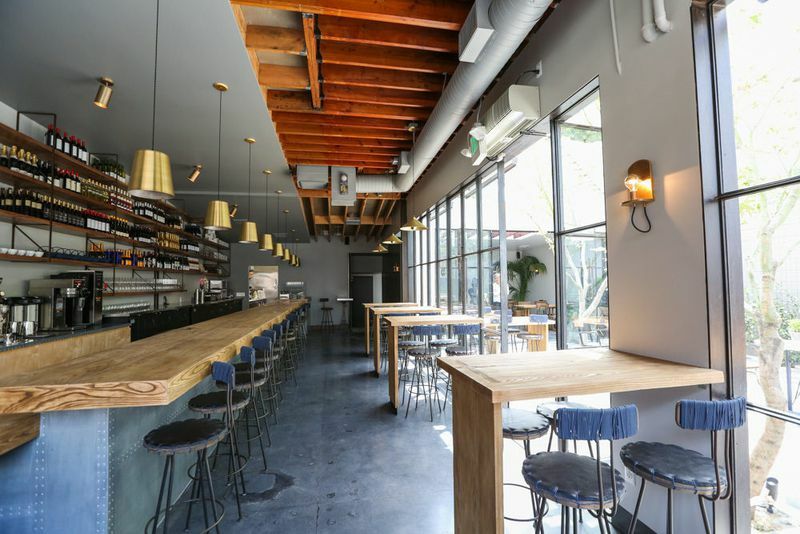 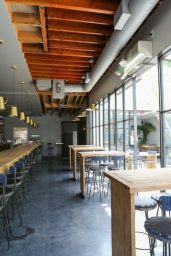 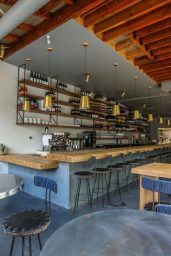 The ambiance is certainly reminiscent of the Abbot Kinney original: open, airy, and angular, with bright tiling and smooth wooden furniture. 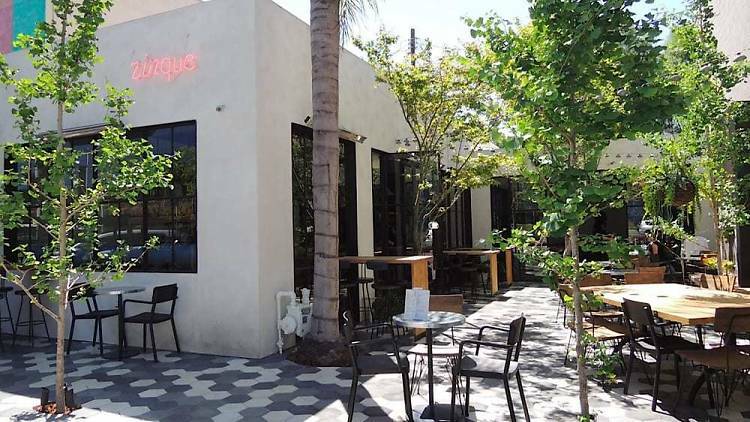 Planted across from the Pacific Design Center, it’s sure to be an oasis for creative types working and living in the area. 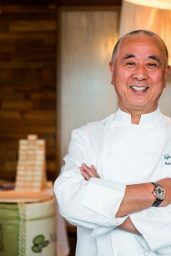 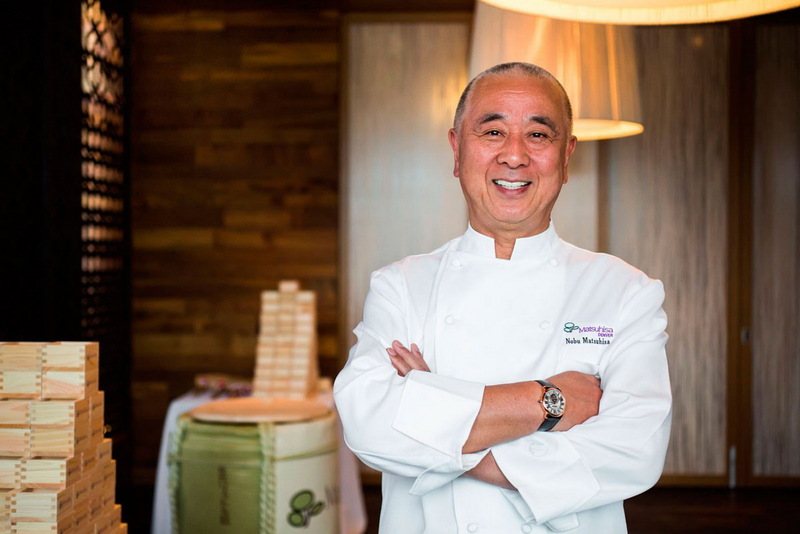 Los Angeles is where it all began for Nobu Matsuhisa, the acknowledged king of Japanese cuisine, who now has high-end eateries all over the world. 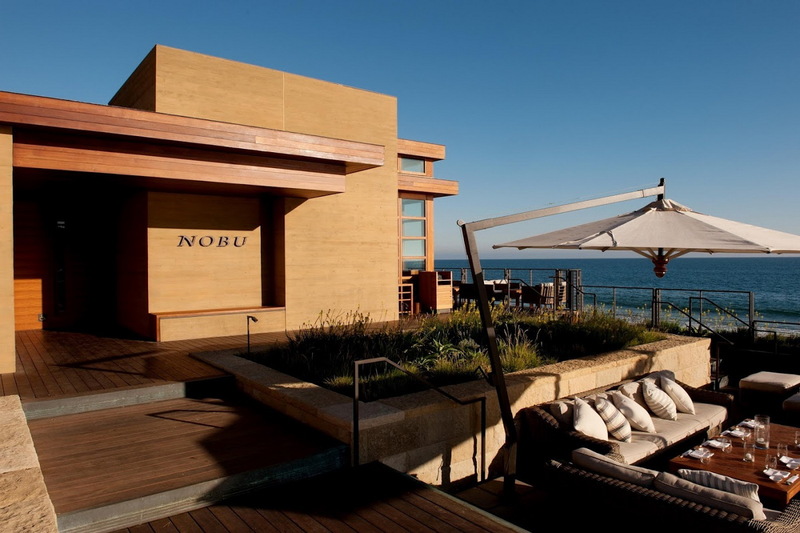 His first restaurant, Matsuhisa, is a tiny place on La Cienega Boulevard; Nobu Los Angeles is further north up that same street; and the prettiest of them all, Nobu Malibu, is perched right on the sand on Pacific Coast Highway in the heart of that posh beach community. 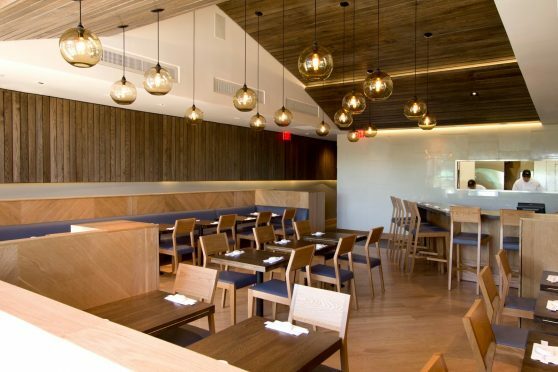 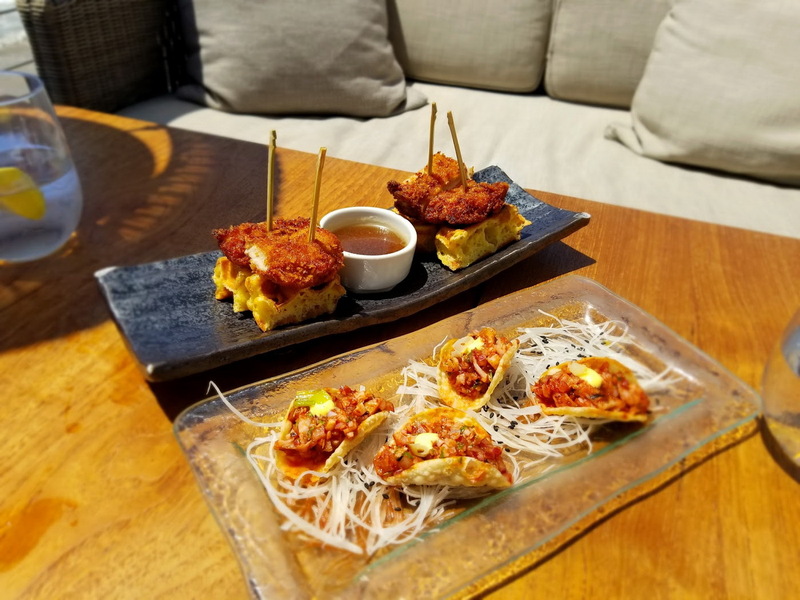 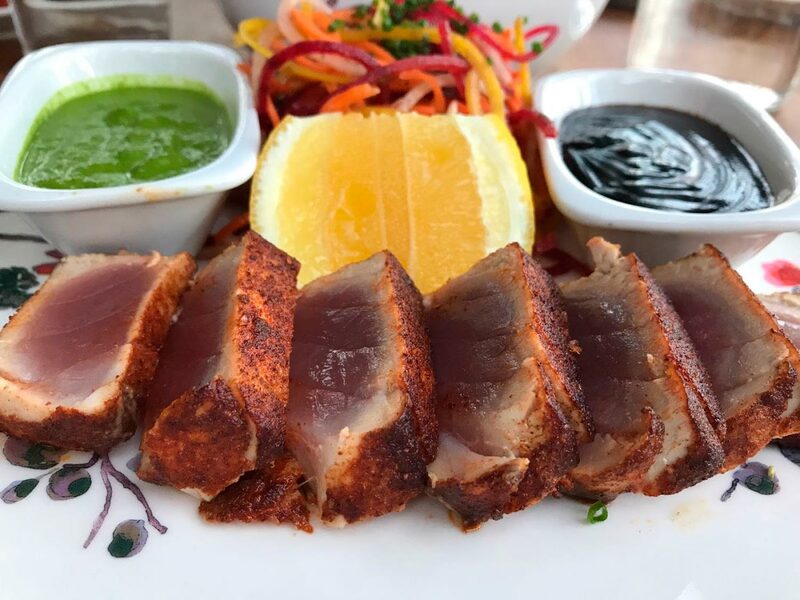 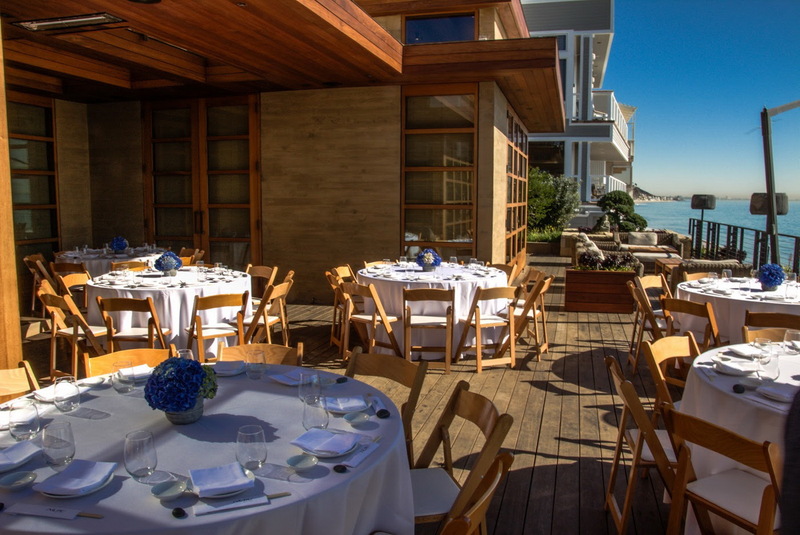 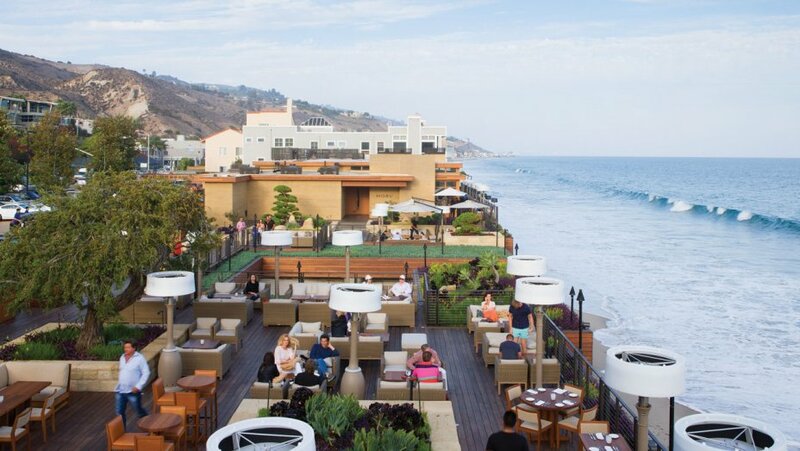 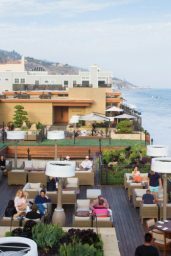 Malibu gets our vote for the best of three solely on location, for the gorgeous ocean views and sleek restaurant design somehow make Nobu’s signature dishes like Black Cod Miso and Yellowtail with Jalapeno seem even more delicious when eaten there. 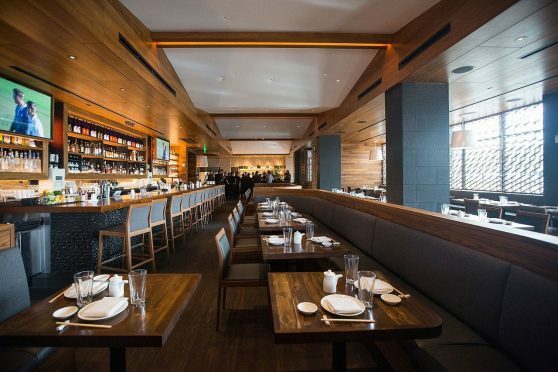 Matsuhisa Restaurant, located in Beverly Hills, is a popular sushi restaurant among locals and celebrities. 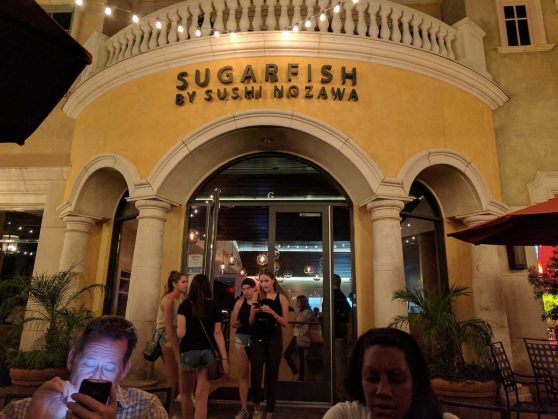 This sushi restaurant is owned by Executive Chef Nobu Matsuhisa, who owns several other successful restaurants around the world. The menu offers more than 100 dishes, but most people order the omakase tasting menu, featuring the chef’s choice of sushi. 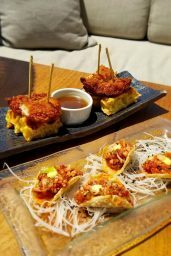 The chef creates unusual and interesting dishes by combining Japanese food with South American spices and salsas. Be sure to make a reservation a week in advance because Matsuhisa has a small dining room. 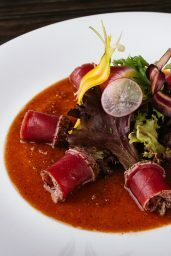 Their signature dishes to try are the toro tartare with caviar and the uni shooter with bonito broth. 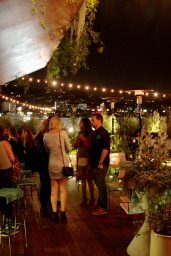 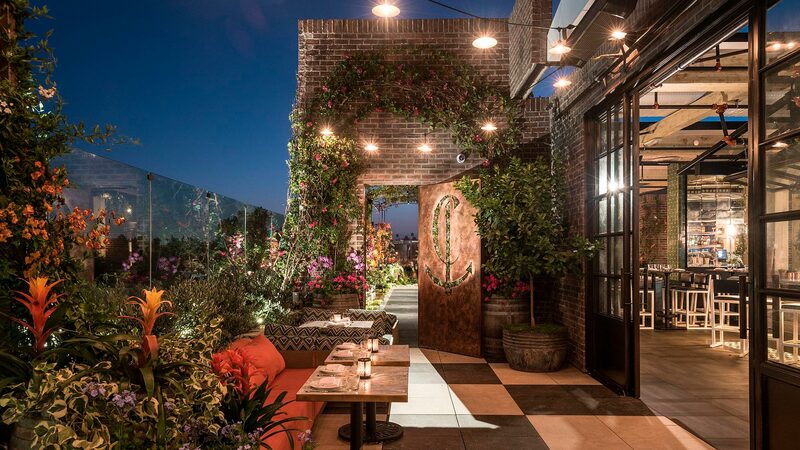 Hailing from New York, with outposts around the globe, this hot spot is known for its celebrity sightings, colorful cocktails and enviable rooftop set in the heart of the West Hollywood Design District. 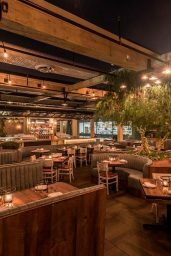 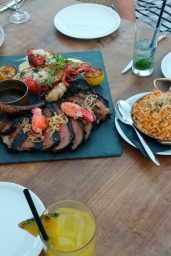 The room — under a retractable roof, filled with big circular booths, ivy-covered wood beams and foliage-filled chandeliers — is the stage for massive shellfish towers, loaded sushi rolls, whole wok-fired lobsters and huge plates of meat, with a sizable price tag to match. 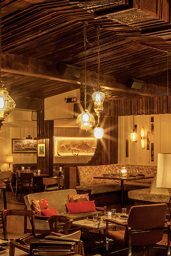 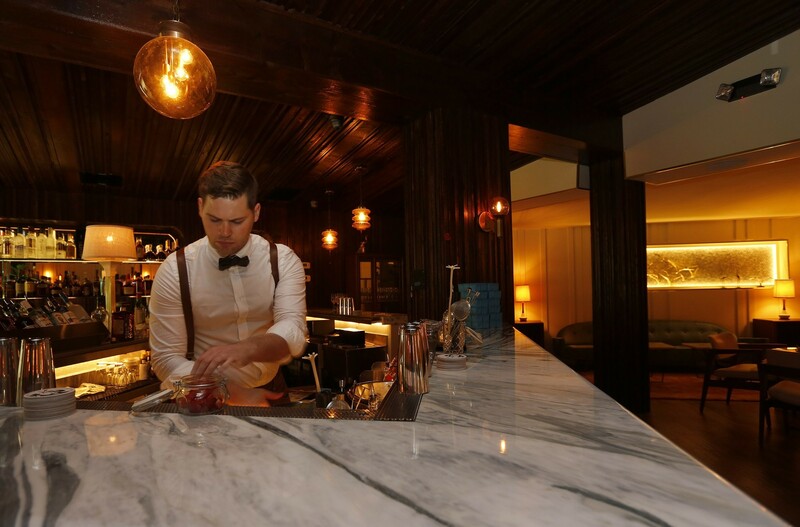 The Nice Guy is a swanky restaurant lounge, complete with gourmet food and mixology menu, whose aesthetic is meant to evoke the decadent era of Mafia bars and restaurants, where the owners and their friends can enjoy an evening together. 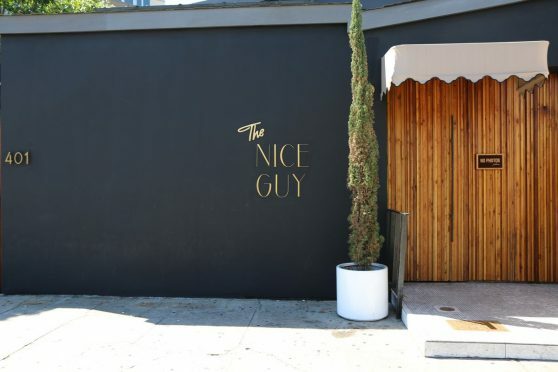 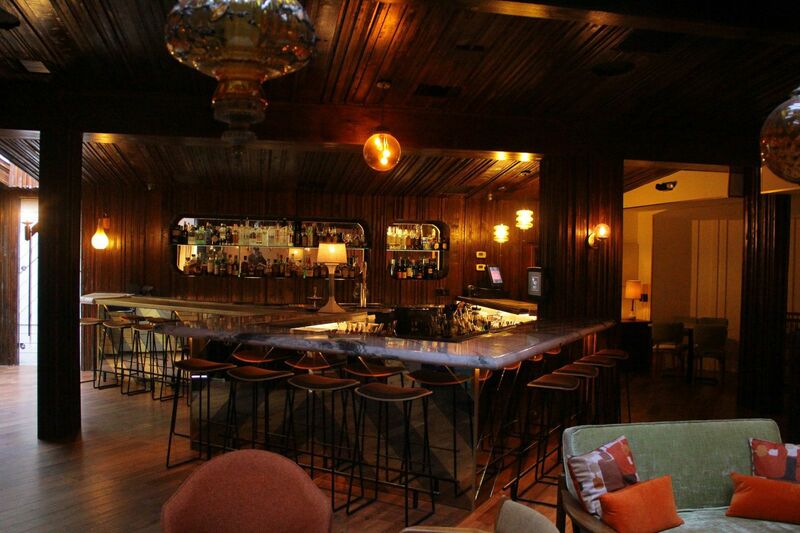 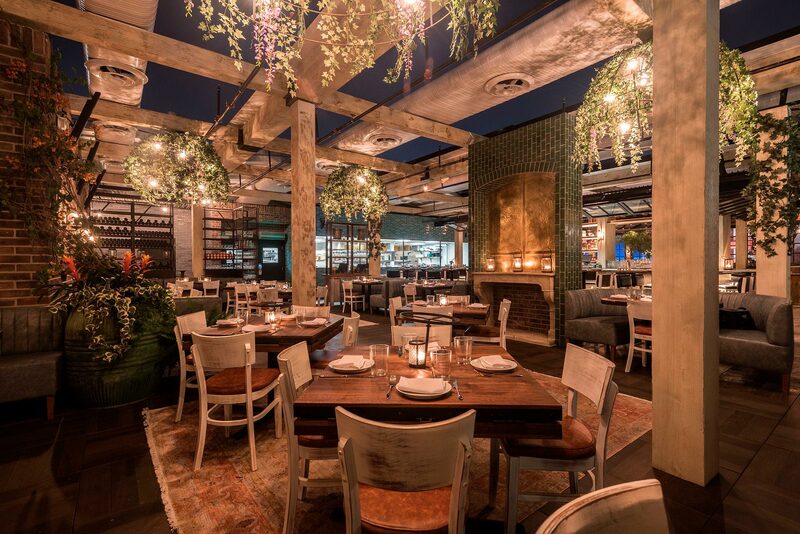 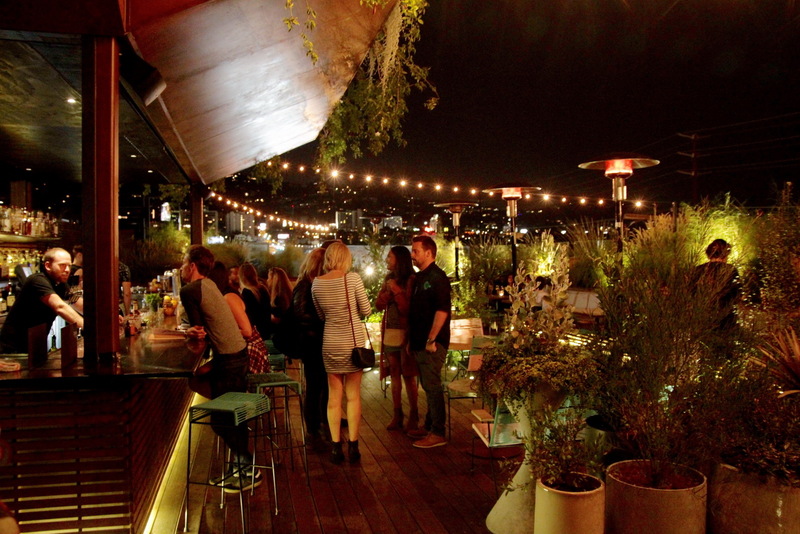 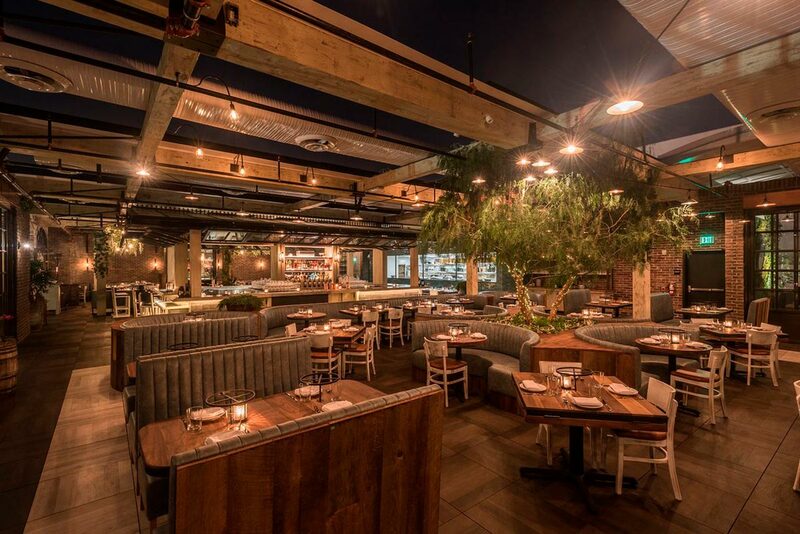 The Nice Guy delivers a fun and upscale atmosphere that has been lacking in Los Angeles. The The Nice Guy, one step above a restaurant but below a club, is a cozy reservations-only destination for friends and family to feel like they truly belong. 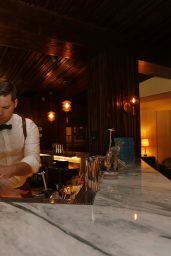 Upon entry the vintage marble and brass bar greets you. Its size, scale, and shape invite the guests to a unique social experience, encouraging conversation and camaraderie – the booths along the exterior wall command intimacy between guests, while the larger booths flanking the room stimulate the party atmosphere throughout the night. 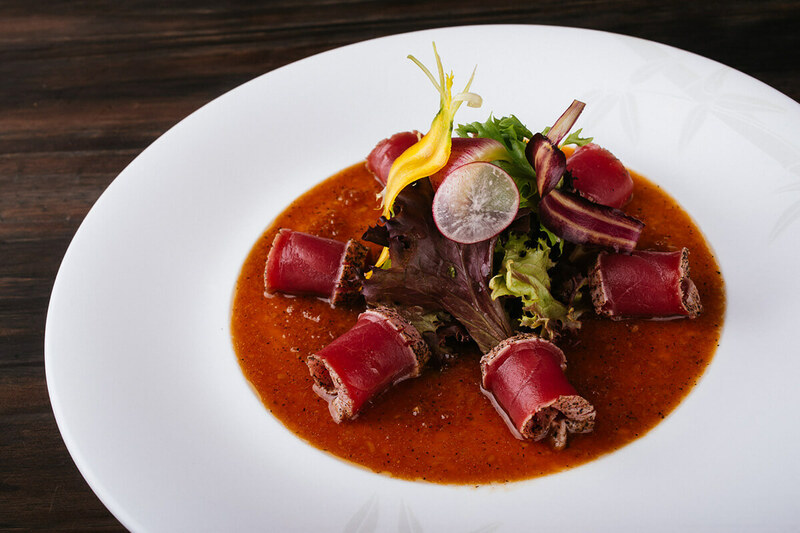 Head to the Nozawa Bar for a more intimate and high-end omakase experience. 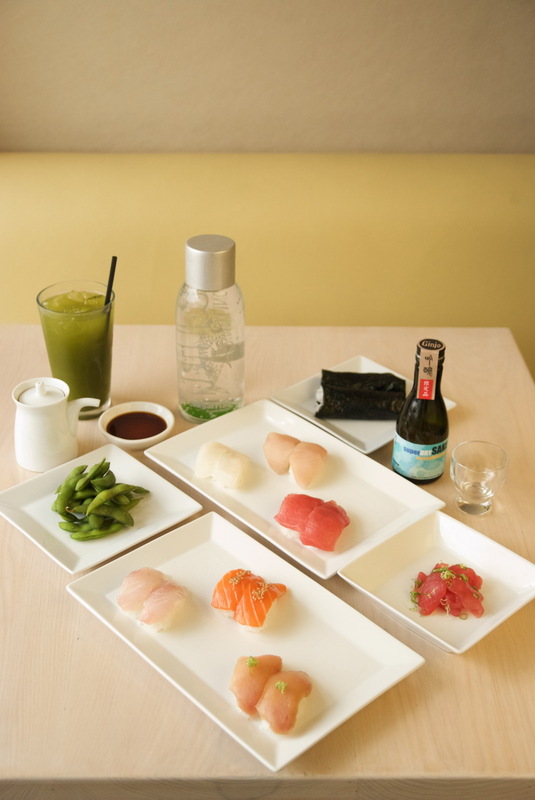 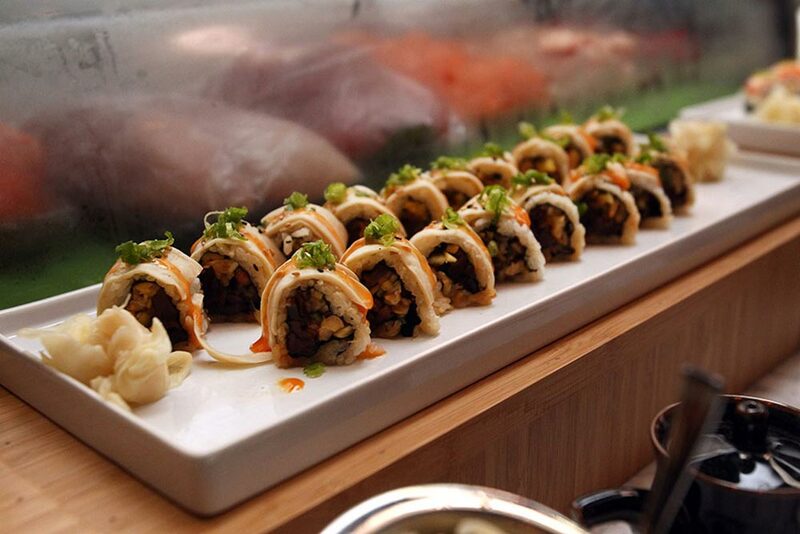 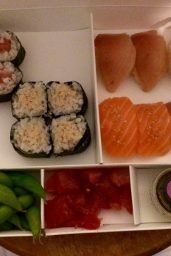 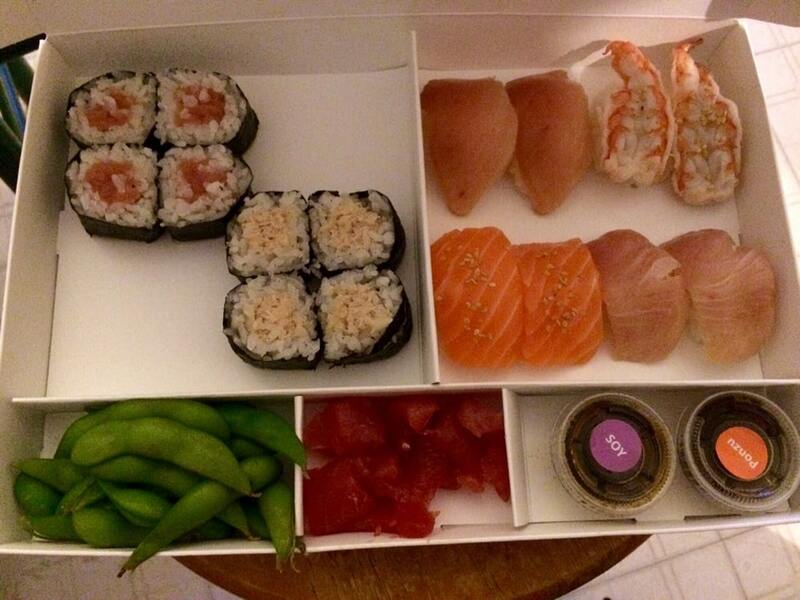 Offers a different kind of sushi dining experience, featuring only traditional sushi of the highest quality. 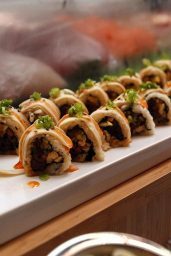 Come taste the pure flavors of basic ingredients and homemade sauces.